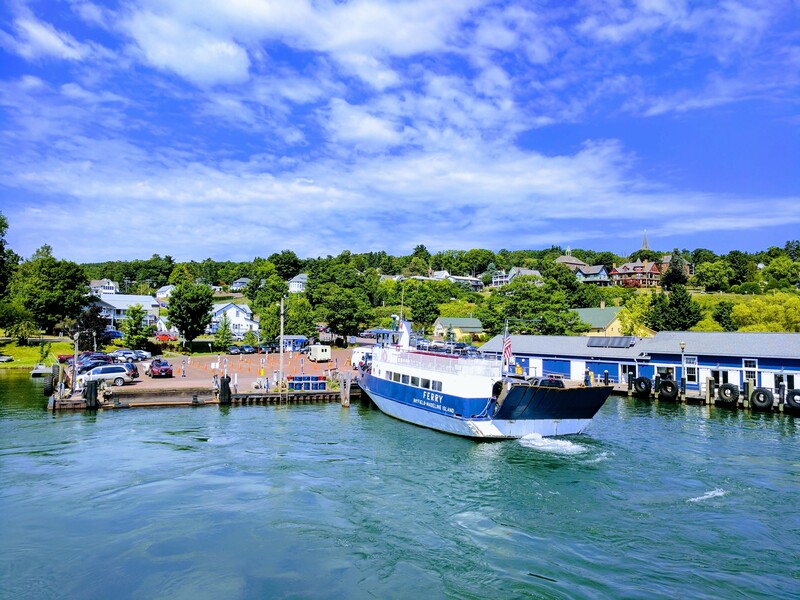 The ferry to Madeline Island! 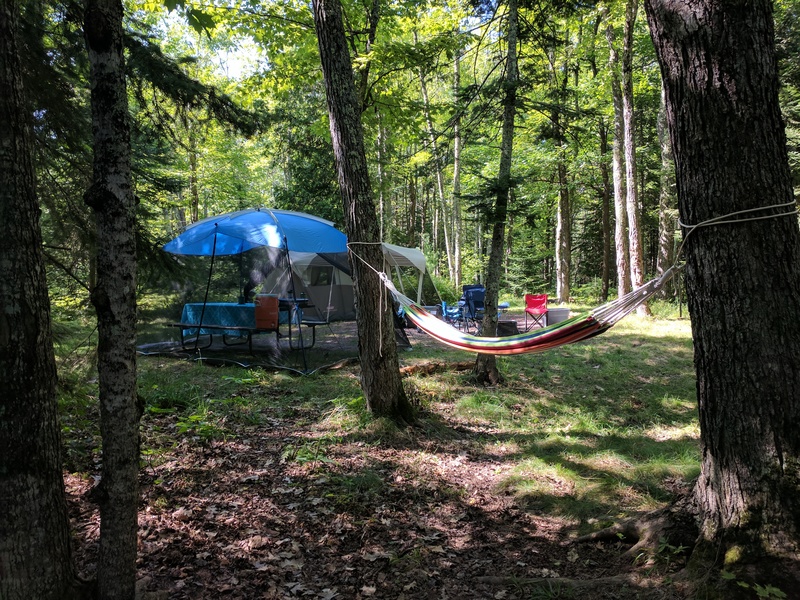 A little over a decade ago, Brooke and I went up to a wedding in Minnesota and stopped off in Wisconsin for a brief camping trip on Madeline Island, one of the Apostle Islands on Lake Superior. We went to Branson earlier this Summer with the Linsenbardt side of the family (that I still haven’t posted about yet, so I need to do that…) and then had two months of school for Brooke and me, so we decided it would be nice to return to Madeline Island, this time with two youngsters in tow. Hangin’ out in Duluth on the way up North. 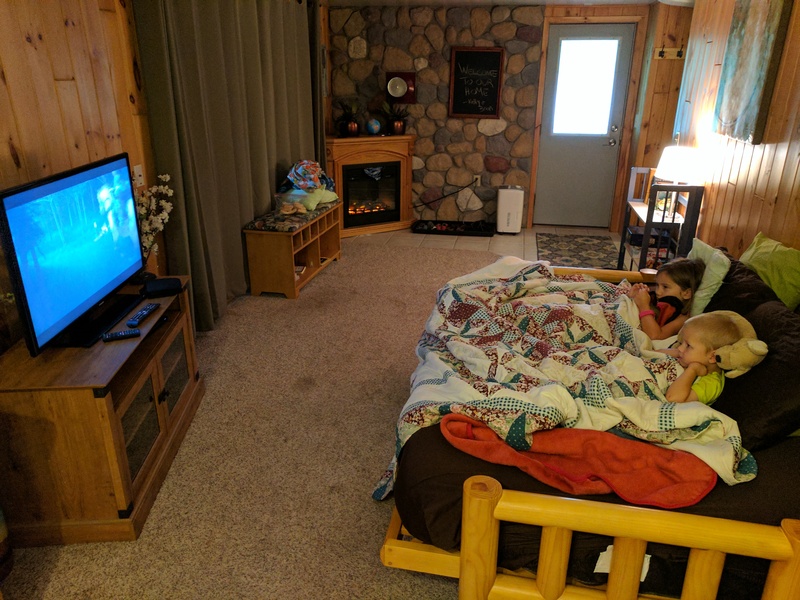 Rather than making the nearly 12 hour drive in a single trip, this time we Airbnb-ed a place in Duluth, MN, about 2.5 hours from our ultimate destination. We made a similar decision last year on our way to Colorado, and it was still a good call. The house we stayed in was a two-story, where another couple were staying upstairs and we were staying downstairs (with direct access from the outside). The kids slept on a futon while Brooke and I got a king-size bed. Worked out pretty well! We were pretty tired after hours on the road, but after briefly taking some stuff inside, we went to a local restaurant for dinner, after which, we tried getting some local beer. FYI: Minnesota is still backwards and doesn’t sell beer (or any alcohol) after 6:00 pm on Sundays. Apparently, they just started selling any alcohol on July 1, 2017. Seriously, people. What are you doing. After a pretty restful sleep, we hopped back on the road heading toward Bayfield, WI, where the ferry crosses over to Madeline Island. 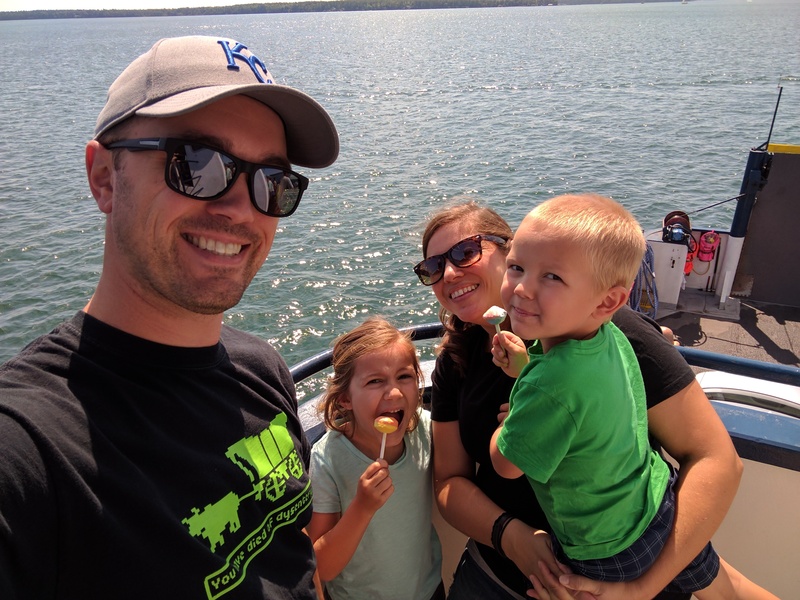 We grabbed some groceries (bread, chips…) and local beer (because Wisconsin isn’t as backward as Minnesota…) at the store and then waited a few minutes for the ferry to take us across. Meg and Calvin, of course, very much liked getting out of the car and walking around on a boat, so despite the necessity of going on this particular ferry, it served as something of an “event” for the kids to enjoy. The drive from the docks to the campground is around 6 miles, so it didn’t take all that long to get over there. Like the last time Brooke and I went, we reserved a “backwoods”-style campsite that was pretty private, but close enough that the shower houses were a brief jaunt away. 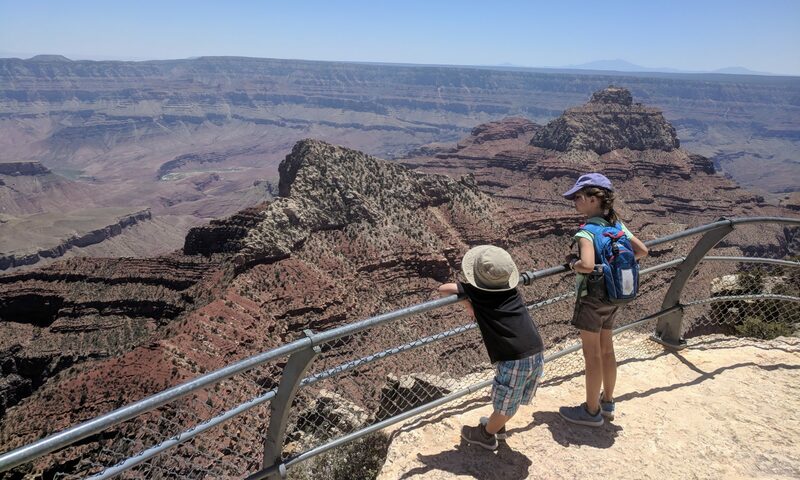 The state park was pretty crowded with quite a few pull-behind trailers, as well as tents, so separating ourselves from all the rest of the noisy families was probably a good call. The pretty significant downside, however, was the mosquitoes. In that backwoods camp, the mosquitoes were pretty intolerable. And resistant to Repel Lemon Eucalyptus. And ignorant of citronella candles. Seriously, they were bad. New for this trip, Brooke picked up a screened-in shelter from Aldi for $40 (woo! ), and while that helped the bug issue, it still wasn’t perfect. Some non-biting insects were always flying around at the top of it, but at least they left us alone for eating. However, she’d always want to leave the doors slightly ajar when cooking for logistical reasons, so more bugs would get in. We’re glad we have the shelter, and it definitely helped, but it wasn’t perfect. The weather early on was quite pleasant, with highs in the low 80s and lows in the upper 50s. That first night went pretty well and the kids were just fine going to sleep around 9:00, when it was dark enough. Brooke and I were going to stay up with a fire, but the mosquitoes also didn’t really care about smoke from a campfire, so unless we wanted to put on pants, long-sleeves, and Brooke’s bee gear, we were out of luck. 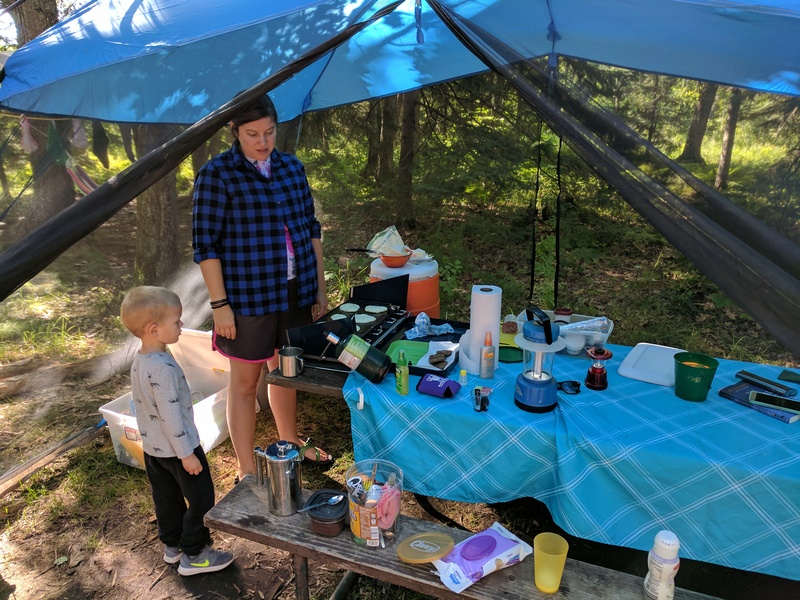 The next morning, Brooke made some pancakes on our new propane grill, which was also a big plus for this trip. I tried cooking steaks on the open fire the previous night and, while they were edible, I couldn’t get the fire consistently hot enough to get them “medium well” as I tend to prefer it. We picked up the steaks at the grocery store in Bayfield and they were just a bit bigger than we probably should have gone with. Ah well. The stove, on the other hand, worked great for the rest of our meals. Brooke’s French Press was also a big help.